The growth of espresso-style coffee has opened up new markets for drinks made beyond the traditional coffee machine. If you’re not quite confident enough to introduce an espresso machine to your cafe, bar or restaurant, then this simple guide is the perfect way to make quality tasting coffee without having to train like a Barista. As experts in coffee we know exactly what goes into making great coffee, the importance of the bean, the grinding process and the brewing process cannot be overstated, especially if you want to produce a quality cup. 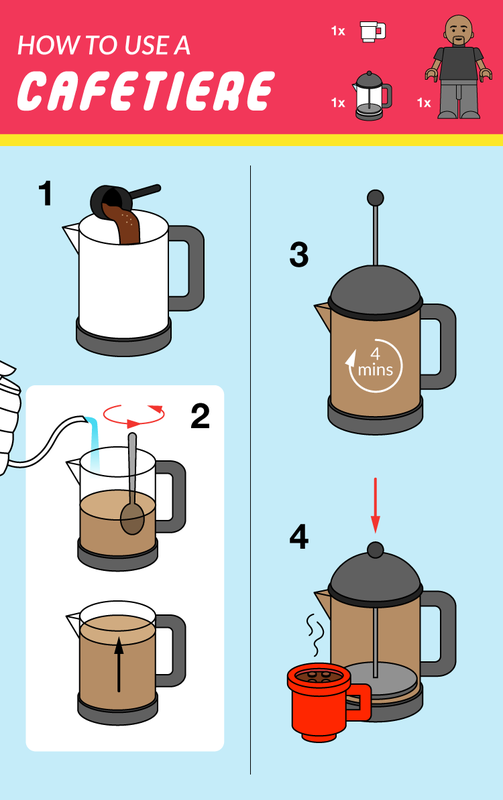 But we completely understand that it can be confusing or even too much of an investment for some, this is a simple guide to making exceptional coffee if you don’t have access to a true coffee machine. Effortlessly simple, and iconic a cafetiere provides a smooth coffee that is almost a showstopping piece on any table anywhere. Even more so if you use a traditional shiny stainless steel cafetiere! Grind your coffee beans and add approximately 7g of coffee per cup of coffee to be served, with around 125ml of water being needed per cup. Thoroughly stir the coffee and place the cafetiere plunger at the lip of the cafetiere. Let the coffee and water mixture settle for around 4 to 5 minutes so that the nuances and flavours are allowed to come to the fore. 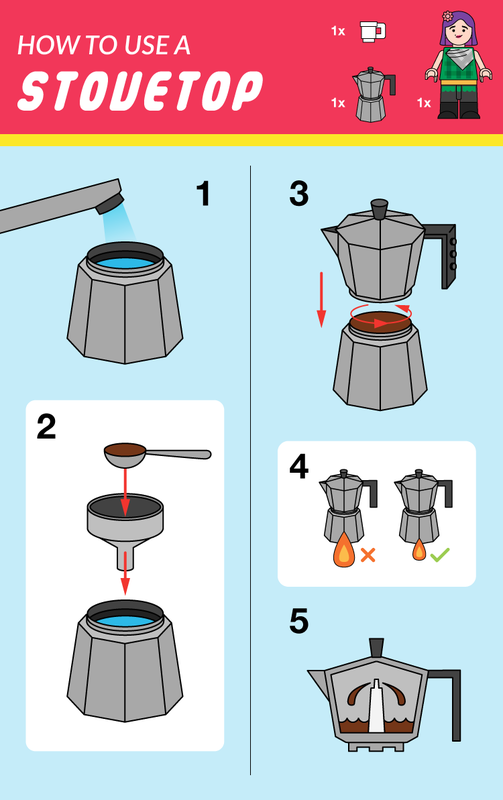 Once settled, slowly press the plunger until it reaches the bottom of the cafetiere. Becoming more and more prominent as coffee shops seek to differentiate themselves in a growing market, pour over drip coffee is one of the largest growing sectors of the coffee market. Slower than traditional coffee making, simple and making only a single cup of coffee at once, if takes a lot of equipment to make lots of pour over drip coffee at once. Place a filter within the dripper, add approximately 14g of coarsely ground coffee and place the dripper over your mug or cup. Make a small crater in the coffee grounds and pour 35ml of water over the coffee to ‘pre-infuse’ for around 30-35 seconds before the next step. Pour 120ml of boiling water on to the grounds in a circular motion, making sure all of the grounds are wet. 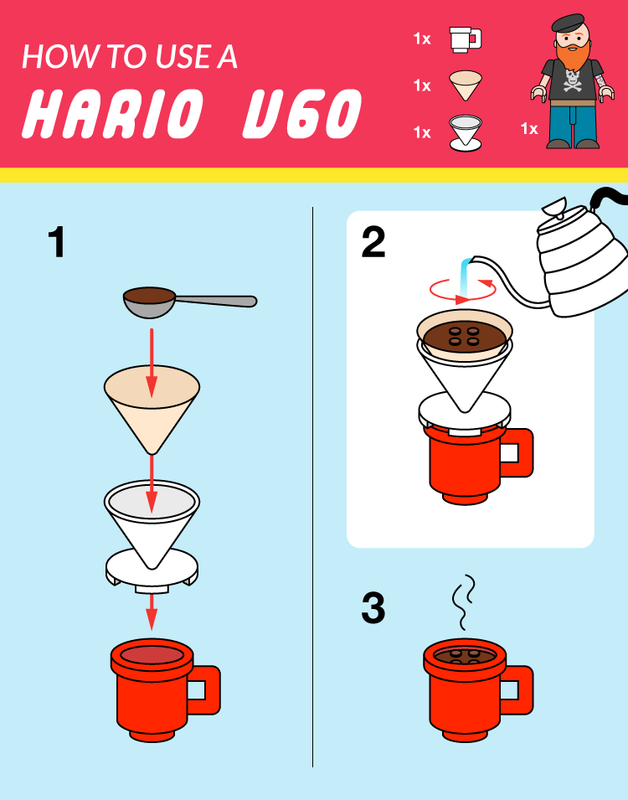 We recommend the Hario V60 range server for the ‘complete’ look. Let the water draw down. Pour a further amount of water to the filter (or until you hit 250ml), again in a slow circular motion. Allow the coffee to drip and filter through until your mug is full. This process should take around 3 to 4 minutes for full flavour infusion. The Moka pot is traditionally used throughout Europe and Latin America, another iconic design that produces coffee by means of pressure and produces an incredibly smooth cup of coffee in a unique way. Pour 300ml of boiling water into the pot lower chamber. Add approximately 24g of finely ground coffee to the filter basket – which is directly above the bottom hot water chamber. Secure the lid by screwing together carefully as it will be hot. Set your stove to a low/medium heat. Place the pot on the heat and when coffee starts to come through the internal spout, remove from the heat and allow it to settle before pouring and serving. Whether you choose to brew your coffee in any of the methods listed, or prefer an espresso machine made speciality coffee we can help you get your business ready for serving the best quality possible. We can even provide pre-ground coffee for making top quality home-brew style coffee! Check out our website for more information on our products and the benefits of stocking your business with Caffe Society products and ingredients.